There’s a buzz in the beekeeping world about a new method of extracting honey from the hive. The Flow Hive is a patented split cell technology developed by Stuart and Cedar Anderson of New South Wales, Australia. The father and son apiarists said they have spent more than 10 years developing their flow frames with open honeycomb cells, which allows honey to flow through a pipe during harvest. “It’s honey on tap,” said Cedar in a recently posted YouTube video promoting their invention. The split cell creates channels inside the comb when a lever is turned. Gravity then takes over, which allows the honey to flow down and out of the hive while the bees are undisturbed on the comb surface. The comb can be reset by turning the lever again into the original position and allows the bees to chew the wax back and refill it with honey. The Andersons said their invention ends the days of intensive work gathering honey. “Harvesting your honey used to be a real labour of love. You had to protect yourself from stings, smoke the bees, crack the hive open, lift heavy boxes, pull out the frames, try not to squash bees, brush them off the comb or use a leaf blower, transport the frames to a processing shed, cut the wax capping off, filter the honey and clean up all the mess. Then the frames have to go back to the hive again,” said Cedar. The flow frames fit into a standard hive box. They are designed with clear ends, which allow the beekeeper another way to check for pests and healthy bee numbers. Commercial beekeepers can also accommodate a pneumatic system to harvest several beehives at once. The Andersons are using the crowd-funding site Indiegogo to raise the venture capital needed to start producing the invention. The campaign started Feb. 22 with a $70,000 goal, but supporters from more than 110 countries have pledged almost $5 million to the project. The campaign will close April 5. “Bees are huge in the media’s eye right now,” said Jake Berg, president of the Saskatchewan Beekeepers Association. However, despite the strong interest for the device, he doesn’t think it will become popular with professional beekeepers who produce large volumes of honey. “It might work as a very small niche market for hobbyists,” he said. 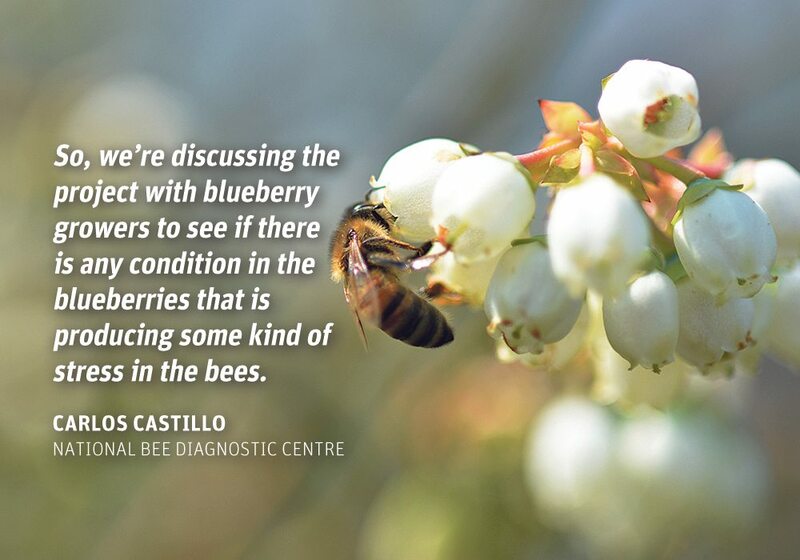 Neil Specht of Sweetheart Pollinators near Eatonia, Sask., agreed. As an experienced commercial beekeeper, Specht said there are several reasons he would be concerned using the tap system in his operation. He also said the bees will glue moving parts together with their wax. It would be much easier to extract honey directly from the hive, but it would be more labour intensive than the current system.